The investigation of Robert S. Mueller III, who submitted his report to the Justice Department on Friday, has already revealed a range of events related to Russian interference in the 2016 election and produced a series of high-profile indictments. Six people connected to President Trump have been charged by the special counsel with an array of crimes, including financial fraud and lying to Congress and investigators. Five have been convicted or pleaded guilty. Twenty-eight others, including 26 Russians, also face charges. 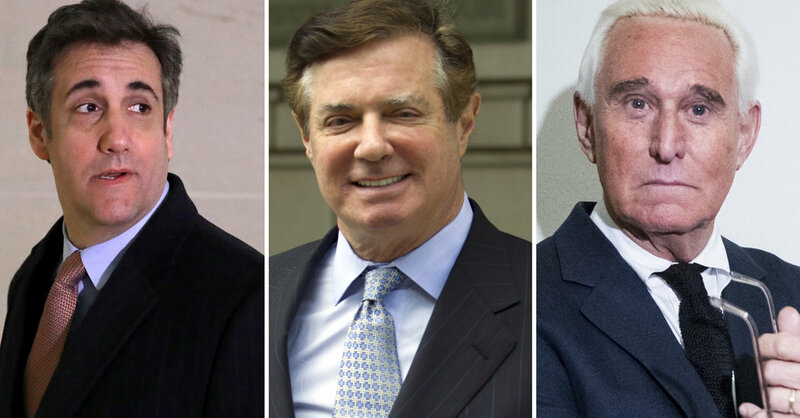 Our videos tell you what you need to know about three of the most prominent Trump associates who have been charged or convicted as a result of the Mueller investigation. A longtime Republican consultant and lobbyist, Mr. Manafort served on the Trump campaign from March until August 2016, including three months as chairman. He was convicted of financial fraud and conspiracy in connection with consulting work on behalf of pro-Russian political figures in Ukraine and was sentenced to a total of seven and a half years in prison. The Manhattan district attorney has also filed more than a dozen state criminal charges, including mortgage fraud, against Mr. Manafort. If convicted on those charges, Mr. Manafort could remain behind bars even if the president decides to pardon him for his federal crimes. Convictions for state crimes are not subject to presidential pardons. A longtime friend and adviser to Mr. Trump, Mr. Stone was indicted on charges of lying to Congress about his efforts to contact WikiLeaks. According to the charges filed by the special counsel’s office, a top Trump campaign official had dispatched Mr. Stone to get information from WikiLeaks about thousands of hacked Democratic emails stolen by Russians. In late January, Mr. Stone was arrested in a pre-dawn F.B.I. raid at his home in Fort Lauderdale, Fla. Later, outside the courthouse, he vowed to beat what he called politically motivated charges.